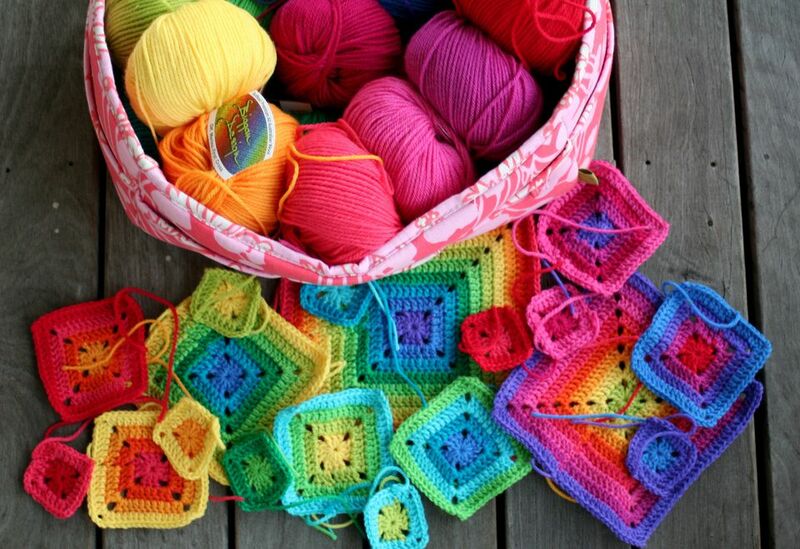 You can crochet in a single color for a very long time and make many wonderful projects. However, one of the things that people love most about crochet is the beautiful colorwork that you can create with different shades of yarn. Because of that, you'll eventually reach a point when you want to learn how to change colors in crochet. It can be a bit intimidating at first but it's really a basic technique in crochet that you should learn as a beginner. After learning it, you'll be able to do so much more with the craft, simply by working basic patterns in different colors. 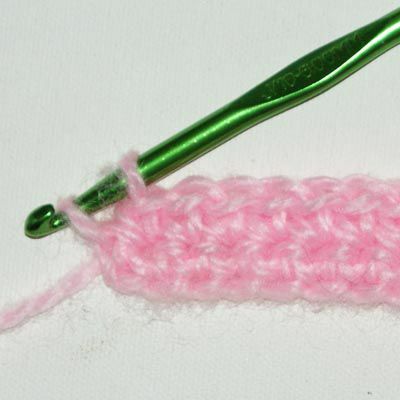 This tutorial teaches you how to change colors in the single crochet stitch; the information will apply to ​changing colors in other stitches as well. You will notice in crochet patterns that colors are labeled with letters (A, B, C). They are labeled in the order that they appear in the pattern; so, blue yarn might be Color A in one pattern and color B in another. Color A simply refers to the first color that you start with. So, let's begin by crocheting a few rows of single crochet in Color A. When you are ready to change colors (to Color B), you will almost complete the row that you're working on with Color A. You will totally complete the row in Color B and use Color B to work the next row. So ... To begin the process of changing colors, work as far as the last single crochet stitch in the row, but leave the last single crochet stitch unfinished. Before working that final stitch, grab Color B with your crochet hook. Pull up a loop with Color B. You might have to tug gently on the yarn end of Color A to keep the Color A loops from getting too big. This gets easier with practice. For now, just work on getting the motions down. If you plan to use color A again within the next few rows, don't cut the yarn; leave it attached so that you can carry it up the sides and avoid having to weave in ends. Note that this is an optional choice. You can cut it and weave in ends even if you are going to switch back and forth from row to row. The preference for most crocheters is to avoid weaving in ends so that is why this is recommended. If you don't plan to use Color A again within the next few rows (or simply prefer not to carry the yarn up the sides) then it is time to cut Color A. Leave a long tail of yarn - at least six inches or so. You will have to weave this end in later. Alternatively, in some cases, you may be able to work overtop of the end. This is not as secure a method as weaving in the ends, particularly not if you crochet loosely or if you are working in a lacy stitch pattern. The main advantage is that it's quicker than weaving in ends. Use this method for projects that won't be laundered frequently - for example, doll clothes. This technique works best if there is not a lot of contrast between your colors. Now that you have brought Color B through, you can begin working with it. This starts by working your turning chain in Color B. There is nothing new to learn here; just keep crocheting with Color B. Keep making rows of Color B until you are ready to switch (either back to Color A or on to a third color, Color C). If you are going to be crocheting complete rows of one color and then switching to another color, congratulations, you now know everything that you need to know about changing colors in single crochet! You can use this information to help you learn how to change colors in other stitches as well. However, there is one more thing that you might wish to learn, which is how to change colors in the middle of the row. There are different techniques for doing so. One great option is to learn the basics ​of tapestry crochet.